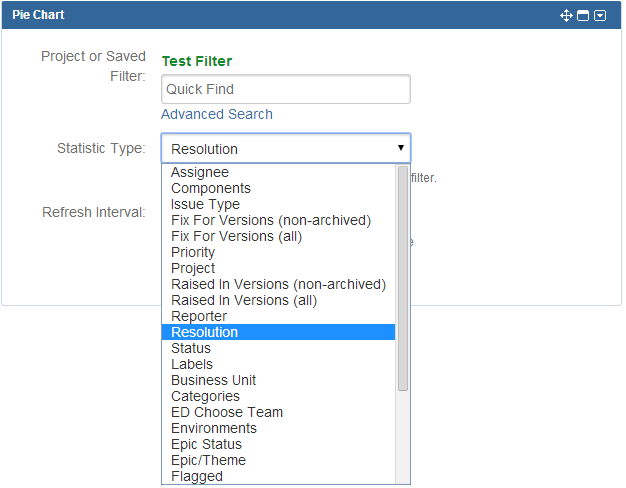 Click on the Issue dropdown and select search for issues highlighted in blue. Type in the filter you want to create and view. This specific view is the advanced view for more complex filters but you can change it to switch to Basic search if the filter is not being too complex or you are new to creating filters. When done click on the Save As button. Enter a filter name for your filter that you are about to save. Your filter has been saved and will appear on the left hand side under Favorite Filters. You have successfully created a filter. The next step will be to create a Dashboard. Click on the Dashboard dropdown button. 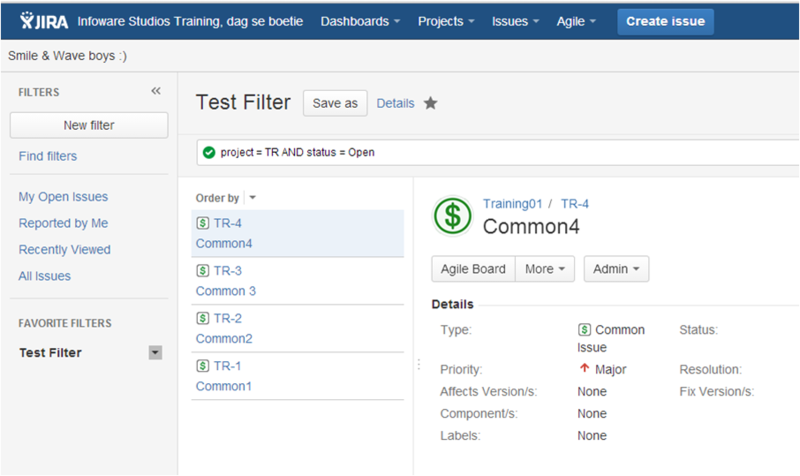 And select manage Dashboards, highlighted in blue. 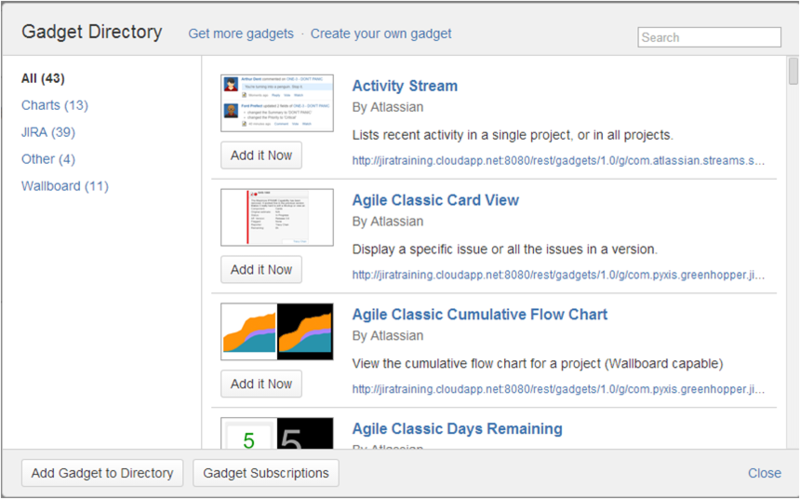 Click on Create a new dashboard. You will have to add a name as this field is mandatory. The description field is not mandatory. Leave the field ‘start from’ as blank on the dashboard. You can share this dashboard by selecting from the field Add shares. 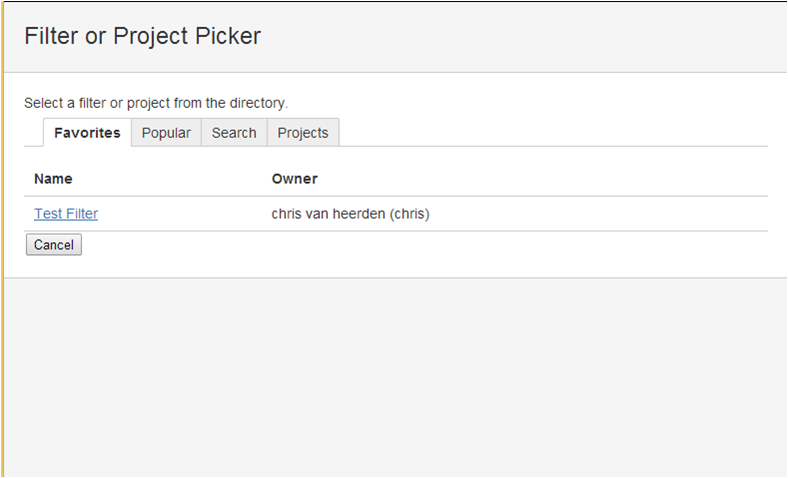 Here you can select from the dropdown with who you would like to share the dashboard with. Then click add. You do not have to share a dashboard. When you have entered your name you can just click on the button add. Once you have completed it click on the button add. Click on your dashboard that you have created. In this case we will click on Test dashboard. 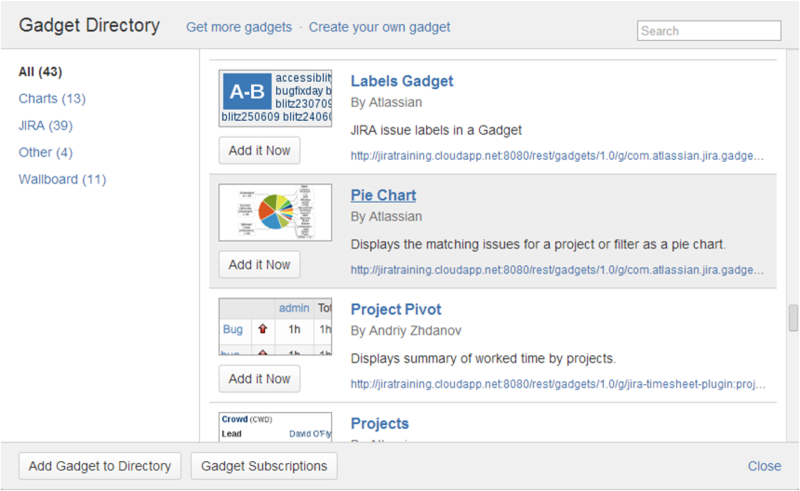 Once on this view you can add either a single dashboard or multiple different dashboards. Click on add a new gadget. From here you can select gadgets you wish to add to your dashboard view. Once you have selected the gadget you want to add. Click on the button Add it now. We have selected the pie chart, as illustrated below. Once you have selected your dashboard/s you will need to link your dashboard to a filter. Click on the advanced search. Click on the filter you need to link with the gadget you have selected. On the field Statistic type dropdown select the field you wish to see. This will determine what will be displayed on your gadget. Once selected click on the save button. On the button left hand side. Your dashboard will now appear with the necessary information you have opted for.